A fun and unique way to complement your spring garden. 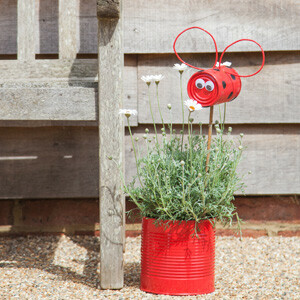 Upcycle tin cans with paint, wire, and decorations to make a ladybug, bumblebee, dragonfly or mystery insect- guaranteed to be the cutest bug in your garden. Wear clothes you don’t mind getting paint on. All supplies provided.